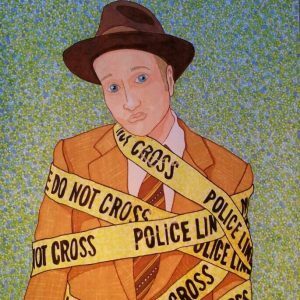 "Seeking, Retaining & Cultivating Audiences & Talent to Enhance the Cultural Community"
A murder mystery. A distillery rumored to be haunted by ghosts. A Halloween night you’ll never forget. 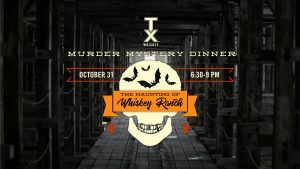 Experience the spooky side of Whiskey Ranch during a murder mystery dinner with Comedy Killers Comedy Murder Mysteries this Halloween! Ticket purchase includes passed hors d’oeuvres, a delicious Italian dinner & dessert, and 3 TX cocktails set to the murder mystery show. Tickets are limited and priced at $90/person. Costumes are encouraged, but are not required!